This giveaway is now over. Please check out other Fitness For The Rest of Us giveaways by clicking on the "giveaways" tab in my header. This giveaway is again courtesy of the amazing FAMILY OWNED Collage Video- whom we all know and love. Keep reading to find out how you can win Bob Harper Pure Burn Super Strength. They have recently slashed TONS of prices on many their 987 dvds (and all 987 have clips!). If you havent checked out their website in a while head on over! 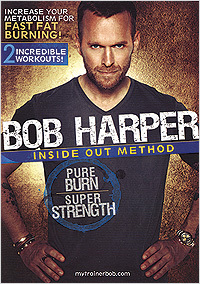 And check out Collage's current Facebook sweepstakes: Enter to win 2 Bob Harper dvds here. Did you know that an ACE Certified instructor does EVERY dvd available from Collage Video? What does that mean for you? Bob Harper's Inside Out Method Pure Burn Super Strength dvd includes a 60 minute nonstop strength workout and a 20 minute beginners workout. Bob works out with 3 background exercisers in a gym style set w/ fitness equipment around the perimeter. You will need dumbbells for this workout. I would consider this a high rep moderate weight strength workout. Bob does a great job of pushing you just a little further than you would normally go in this workout. When you think youre done with an exercise- he adds in some isometric holds or just one more set. The workout is performed circuit style so you do a series of exercises and then repeat. He includes plenty of tempo variations and static holds to keep your muscles guessing. An on screen timer counts down the last 5 seconds of each exercise. Exercises include: pushups to weighted burpees, clean and press, row, deadlift, shoulder raise combos, lunges, split jumping lunges, rear delt fly, lying tricep work, crunches, weighted chair squats, weighted jumping squats, renegade rows into weighted T stands, plank hip raises, plank walks, plank knee pulls, bicep curls, overhead tricep work, and more! Bob really hits the upper body and core in this workout but you will also hit the lower body in many of the exercises. I would rate this an advanced workout that will hits every muscle group and also gets your heart rate up at times. Bob is motivating and provides great form pointers & cuing in this workout. The exercises are combined in a unique way to maximize the burn and keep things fresh and fun. The background exercisers appear to be in pain at times- which makes me feel like Im alone in getting my booty kicked! Enjoyed the sequencing of this workout. Want to try this workout out for yourself? Head on over to Collage Video and get yourself a copy! Want to win a copy? Enter here and remember ten entries = ten SEPARATE comments. Mandatory Entry: Head on over to Collage Video and tell me which dvd (besides this one) that you want to try along with your email address. And don't forget 2 entries means leaving two separate comments! 1 Entry Per Giveaway: Enter any of my other current giveaways here. Entries will be accepted until 11:59 pm on 4/15 and the winner will be selected using random.org random number generator and annouced on 4/17. Remember 2 entries = 2 comments (so for blogging about this you would leave 5 separate comments). Contest open to EVERYONE! Good Luck! I received a sample of this product to review. I was in no other way compensated for my honest review. All thoughts and ideas expressed are my own. I am disclosing this in accordance with the Federal Trade Commissions 16 CFR, Part 255 Guides Concerning the Use of Endorsements and Testimonials in Advertising. I can not be held responsible for shipping errors, postage errors, damage in transit, or undelivered prizes. I'd like to try Jillian Michaels' Ripped in 30.
thanks for opening your contests to CANADA!! I'd also like Jillian Michael's 6 week 6 pack. I'd like to try Patrick's Lean Hot Body. sariade at yahoo dot com. I follow your blog via GFC (mherbruger). sariade at yahoo dot com. I get the Collage newsletter. sariade at yahoo dot com. 2. I get the Collage newsletter. sariade at yahoo dot com. 3. I get the Collage newsletter. sariade at yahoo dot com. I entered the Kukuwa giveaway. sariade at yahoo dot com. I entered the Attitude Ballet & Pilates giveaway. sariade at yahoo dot com. I get the Collage newsletter. I entered the Collage giveaway. I entered the Attitude Ballet and Pilates giveaway. I'd like to try Tracey Mallet's Booty Barre! I like Collage Video on facebook. I left a comment on their fb wall that you sent me. I like Fitness for the Rest of Us on facebook. I follow your blog publicly via GFC. I like Fitness for the Rest of Us on twitter. I already get Collage Video's newsletter (at my other email address; just let me know if you need it). I already get Collage Video's newsletter. I already receive Collage Video's newsletter. I entered your Ten Pounds Down giveaway. I entered your Kukuwa giveaway. I entered your Just B Method giveaway. I entered Collage Video's sweepstakes. I Follow Fitness For the Rest of Us on twitter @mrspoofa. I want to try Kristi Yamaguchi's Power Workout. Sounds ridiculous, but I've always wanted to try "Sweatin' to the Oldies"!!!! I'd love the Jillian 6 week 6 pack! I can't wait to try Jillian Michaels' Ripped in 30! 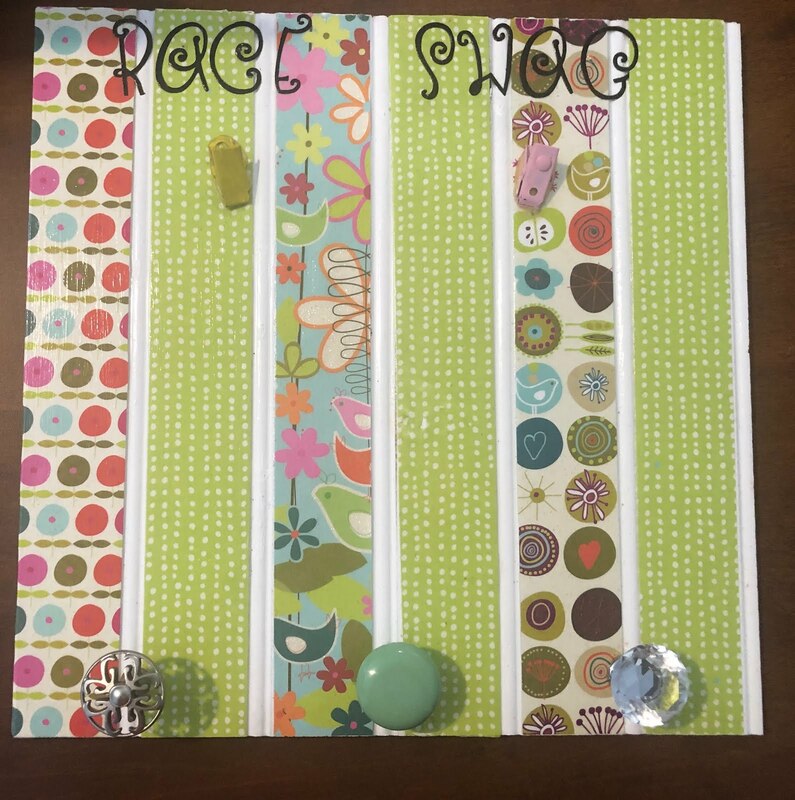 I like Collage video on FB - liz t. n.
I Like Fitness For The Rest of Us on Facebook - liz t. n.
I entered the Tracey Staehle giveaway. sariade at yahoo dot com. Any of the jillian michaels DVDS look great as well!! But I love me some bob harper!